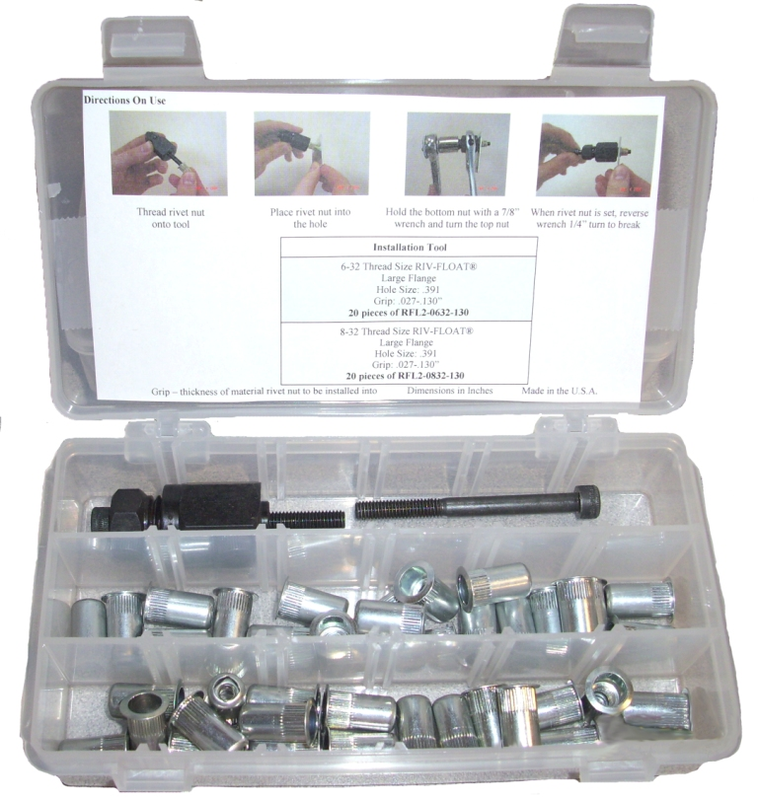 RIV-FLOAT Rivet Nuts for Off Center Applications | Sherex - Bolt Products Inc. Installing rivet nuts in off center applications is not easy. Sherex has introduced a new type of rivet nut to ensure easy, accurate, and fast attachment of components specifically in off center applications. The internally floating threads on Sherex RIV-FLOAT® Rivet Nuts allow for component attachments in off center applications and can accommodate for any minor tolerance that occur. The unique Sherex floating rivet nut (.020" radial float) aligns to drive the angle of the screw virtually eliminating cross threading and spin-out of the Rivet nut itself. RIV-FLOAT® by Sherex was designed for installation post finish in applications where cage nuts, floating nut plates or weld nuts are typically used. RIV-FLOAT® by Sherex must be installed with the new Hydro-Pneumatic Rivet Nut installation FLEX-5 Tool. The rivet nuts are available in metric or standard sizes and in Large (RFL) and Small (RFK) Flanges are available. See Below.